Registration is on a first-come, first-served basis. To register, please e-mail nhb_nm_lectures@nhb.gov.sg with your name, contact number and preferred timeslot (4pm or 5pm). If registering for more than 1 pax, please provide the details of the other participants. Are you afraid of ghosts? Are there really UFOs and visitors from outer space? The word “paranormal” has never failed to arouse curiosity and fear; some swear by their harrowing experiences only to be quashed as sensationalised hoaxes or myths. Yet many paranormal cases remain a mystery, leading us to believe in the existence of worlds on the other side. In the weekend leading up to Halloween, come join us for an investigative tour around the museum with the Singapore Paranormal Investigators, and find out more about their previous cases in various parts of Singapore, the paranormal gadgets they use and the experiments conducted in this hair-raising sharing session. 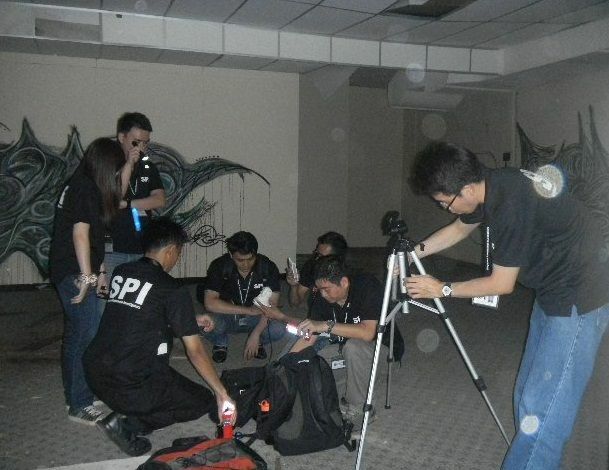 Singapore Paranormal Investigators (SPI) is an educational organisation founded in 2001 by Dr Kenny Fong to study, research and investigate paranormal phenomena using scientific means. They gain better understanding of paranormal phenomena by conducting experiments, gathering scientific data and researching on possible theories in attempt to provide an accurate explanation of the unknown.